The European Commission has launched the first EU Internal Security Strategy, which includes proposals to increase cybersecurity and fight cybercrime. The strategy identifies five strategic objectives and outlines a series of actions for each of them. 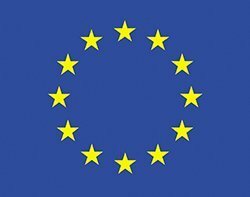 The plan's objective is to raise levels of security for citizens and businesses in cyberspace, and calls for the EU to set up a network of Computer Emergency Response Teams (CERTS) by 2012, and a cybercrime centre and an information sharing and alert system by 2013. According to the strategy, cybercrime is a global phenomenon causing significant damage to the EU internal market. "While the very structure of the internet knows no boundaries, jurisdiction for prosecuting cybercrime still stops at national borders. Member states need to pool their efforts at EU level," the strategy said. The High Tech Crime Centre at Europol already plays an important co-ordinating role for law enforcement, but further action is needed, the strategy said. The other objectives are disrupting international crime networks, preventing terrorism, and addressing radicalisation and recruitment, strengthening security through border management, and increasing Europe's resilience towards crises and disasters. "EU internal security has traditionally been following a silo mentality, focusing on one area at a time. Now we take a common approach on how to respond to the security threats and challenges ahead," said home affairs commissioner Cecilia Malmström. "Organised, cross-border and cybercrime terrorism, and crises and disasters are areas where we need to combine our efforts and work together to increase the security of our citizens, businesses, and societies across the EU," she said.